In Fiction and Repetition, one of our leading critics and literary theorists offers detailed interpretations of seven novels: Emily Brontë’s Wuthering Heights, Thackeray’s Henry Esmond, Hardy’s Tess of the d’Urbervilles and The Well-Beloved, Conrad’s Lord Jim, and Woolf’s Mrs. Dalloway and Between the Acts. J. Hillis Miller explores the multifarious ways in which repetition generates meaning in these novels—repetition of images, metaphors, motifs; repetition on a larger scale of episodes, characters, plots; and repetition from one novel to another by the same or different authors. 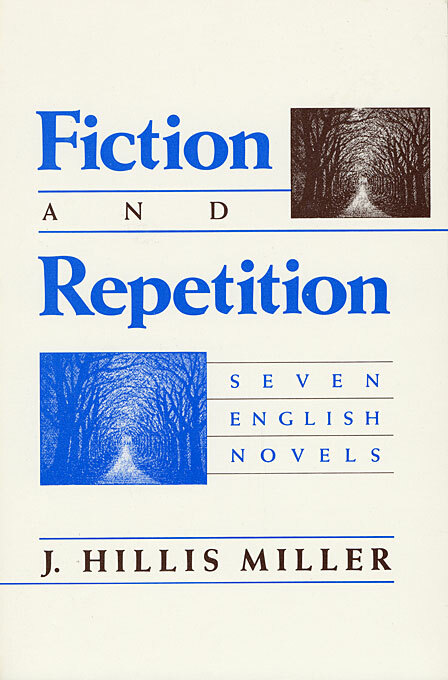 While repetition creates meanings, it also, Miller argues, prevents the identification of a single determinable meaning for any of the novels; rather, the patterns made by the various repetitive sequences offer alternative possibilities of meaning which are incompatible. He thus sees “undecidability” as an inherent feature of the novels discussed. His conclusions make a provocative contribution to current debates about narrative theory and about the principles of literary criticism generally. His book is not a work of theory as such, however, and he avoids the technical terminology dear to many theorists; his book is an attempt to interpret as best he can his chosen texts. Because of his rare critical gifts and his sensitivity to literary values and nuances, his readings send one back to the novels with a new appreciation of their riches and their complexities of form.